This article is part of a series. We recommend that you first read: Spring 2016: The Manifestation of Jesus Christ Part 1, Summer 2016: Manifestation of Jesus Christ Part 2. As he came riding up the hill with his servants, he approached the dusty place and saw the landlord beating the sheaves of the wheat harvest. After loosening the grain from the husks, the sheaves were tossed up in the air with a winnowing fork. The slight summer breeze would then carry the chaff away, “that no place was found for it”. It was a toilsome and laborious process, but it had to be done. Was it not the only way of separating and purifying the precious grain, which would then be collected and stored in the barn? The king stepped down from his mount, most probably a donkey rather than sightly horse, for he came in a peaceful mission, and horses were typically deployed in military campaigns 1 “No, I don’t want it for free. I’d like to pay the full price for it”. He made it clear that he did not want to worship God on a lot which did not even belong to him. The current owner of this desirable piece of real estate, a threshing floor, was a man named Araunah, and he was a Jebusite. The Jebusites were the previous rulers of Jerusalem, before it had been taken by the incumbent king, David, the son of Jesse. King David had been instructed by the Lord to set up an altar in the threshing floor of Araunah (or Ornan), suppos-edly a former king of the Hittites (or Jebusites). Araunah’s threshing floor was located on Mount Moriah, the very place where Abraham was instructed to sacrifice his son, centuries earlier. This same place would later become the location of Solomon’s magnificent temple, the earthly sanctuary of the Creator God, the house of the visible presence of the Lord. Abraham built an altar for the Lord, and now it was David’s turn to erect a place of worship for Yahweh. Mount Moriah has as such been the place where God meets man. 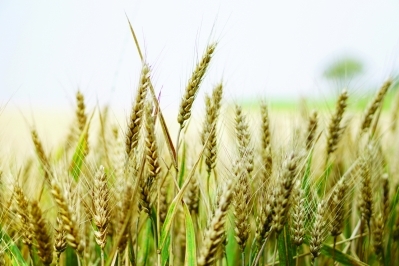 What has threshing wheat have do to with the presence of God? Why did David have to buy a threshing floor anyway? After all, David had already repented (2. Sam 24:10) from his ambitious endeavor to number the people of Israel. God had ordered the destroying angel to stop the plague that was going to wipe out David’s “sheep” (Verse 16). Didn’t this case of the king’s transgression have to be closed here? The Book of Revelation, in its grand overarching message to God’s church expressed via a unique chiastic structure, conveys to us that God’s word, the logos, Jesus Christ, is trustworthy (Part 1 of this series). Jesus is also faithful, for He that is the first begotten of the dead, is the faithful witness, who keeps His promises for sure (Part 2). If we want to know why the Lord permitted Abraham’s Holy ground to become a lowly threshing floor before David was to build an altar on it again, we need to find out about the distinct message of the third chiastic ring of the Book of Revelation. The upper portion of this ring starts with Revelation Chapter 4 and closes with Chapter 9:21; the corresponding image starts with Chapter 15 and ends with chapter 20, verse 15. Revelation 3:22 transitions to Revelation 4:1 from Jesus’ letter dictation to John’s next vision. In this vision, John be-holds God the Father is on His throne, and He is worshipped by His heavenly church, the 24 elders and some of His highest angels (compare Ezekiel 1:5-10). This chiastic ring opens with a view into the heavenly throne room, and it ends with a similar throne scene (Revelation 20:11-15). The latter throne scene exhibits strong resemblance to the judgment scene in Daniel 7:9-10. If the throne room is also the judgment hall or the heavenly courtroom, who is the judge, where is the prosecutor, who is the defense counsel, and where do we find the defendants? But Revelation 20:12 mentions other “books” that “were opened”, and these books seem to contain the information on the works of the dead. These other books comprise - in legal language- the bill of indictment and do thus take the position of a prosecuting entity (compare to the “scroll of lamentation”, Ezekiel 2:9.10.). 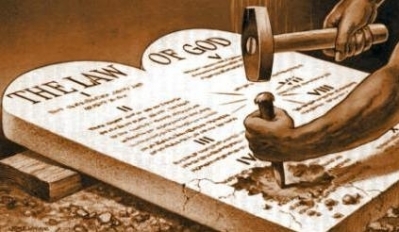 These indictments are the formal charges of transgression of God’s eternal law. Where do we find the defendants in God’s court of law? 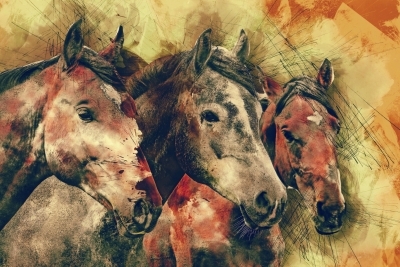 When Jesus opens the first four seals of the Book of life, horses and horsemen are introduced. In Zechariah 1:8, 6:1-8, horses and horsemen represent groups of people 2 (horses) and their leaders (horsemen). Remember, horses were used when leaders rode to war 1. 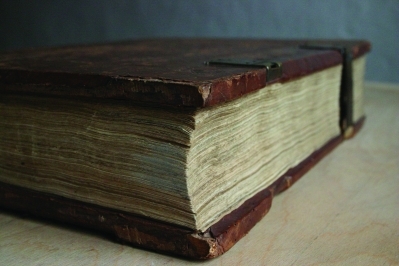 Now let us back up and consider that - in the Old Testament sacrificial service- removal of sin was achieved in two steps: (1) sin was first transferred from the sinner to the sanctuary via the lamb that was sacrificed; 2 on the Day of Atonement, the accumulated sin of Israel was removed via scapegoat transference. 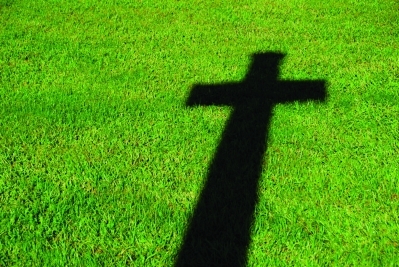 In the antitypical system, sin is transferred to the Heavenly Sanctuary through the acceptance of Jesus’ sacrifice on the cross, and after the closing of the 2300 years (Daniel 8:14), Jesus the High Priest commenced His ministry of atonement to remove the sins of all who called upon Him for forgiveness. In fact, when Jesus received the book from the Father, His ministry of investigative judgement began. This happened in 1844. Now that Jesus the High Priest conducts the investigative judgment, first the names of the dead (Rev 20:12), who sometime during their lives accepted the sacrifice of the Lamb, are either retained in or removed from the book of life. 1. Those that accepted Jesus as their Savior and Lord. They dedicated their lives to the advancement of the gospel and were led by the Holy Spirit to develop a Christ-like character. 2. There are those that called Jesus “Lord, Lord” (Matthew 7:22), but failed to respond to the Holy Spirit for char-acter development. Unfortunately, they eventually fell for Satan’s deception and -unknowingly- worked for the cause of Satan. 3. This is an interesting group: those that probably never knew Jesus by name, but would still respond to the Holy Spirit who talked to them through their consciousness (Romans 2:14.15). 5. Others, and this may even be the majority of mankind, never knew God and never made any decision to accept salvation. Since people of this group were never touched by the Holy Spirit nor accepted the sacrifice of the Lamb, their names don’t show up in the book of life in the first place. Consequently, the Judge does not have to adjudicate, i.e, does not have to legally deal with, these cases. During the investigative judgment, Jesus confesses the names of the overcomers on the white horse before his Fa-ther, the presiding Chief Justice of the universe, the Ancient of Days, and their names will remain written in the book of life. The blueprints of their characters remain in the records of the heavenly temple. 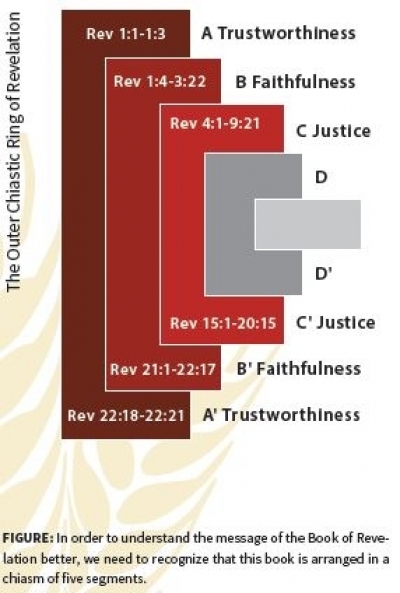 FIGURE: In order to understand the message of the Book of Revelation better, we need to recognize that this book is arranged in a chiasm of five segments. And then will I profess unto them, I never knew you: depart from me, ye that work iniquity. Matthew 7:23. Next, John sees a black horse, and the horseman has a pair of balances in his hand, which signifies fair judgment. We remember that the Babylonian king Belshazzar was weighed in a balance and found wanting (Daniel 5:27). We can assume that the third horseman is Jesus the Judge who “doth judge in righteousness” (Revelation 19:11). He carefully weighs the precious produce the “black horse” people brought forth during their lives, although they may never have had a chance to meet Jesus. Why are their names worthy to remain in the Book of Life? Because they are associated (or connected) with oil and wine. Both are symbols of the Holy Spirit: 2 Cor. 1:21 (oil); Ephesians 5:8 (wine). These were the ones that were led by the Holy Spirit through their conscience as Paul mentions in Romans 2:14-16. They may have been part of the wrong system or born or thrown into unfortunate circumstances, but they will still be counted among God’s people, because they responded to the still small voice of the Holy Spirit. This shows us how important the ministry of the Holy Spirit is and the power He has. It also shows us the very difficult task of the Judge to consider all evidence and circumstances to rule a truly righteous verdict in front of the unfallen worlds of the universe. The last horseman, the one on the pale horse, is “death”. Undoubtedly, this horseman is Satan, and the people rep-resented by the pale horse were spiritually dead; they openly opposed the Christian faith and worked to destroy God’s work and His church. Even the spiritually dead, the enemies of God, once had a chance to respond to the calling of the Holy Spirit. But they rejected Him, sinned against the Holy Spirit and thereby lost the connection with God for all eternity. We now see that the dead of all four groups of people, who ever had any connection with God during their lifetime, have come before the Judge, and they are either found worthy or wanting. When Jesus opens the fifth seal, the martyrs receive attention. Martyrs are certainly part of the “white horse” group, but because they are God’s special heroes, they are given special commemoration in the Grand Judgment Hall of God. Symbolically, they cry out for judgment, and it is important to note that this is really symbolic language; it is to express the yearning of the living, who still suffer from the oppression of sin and Satan, for final justice. There will be two kinds of people: those who will not endure the physical presence of Jesus the King, and those who are found worthy in the investigative judgment. The worthy ones will be sealed so that they are able to meet Jesus in His glory. Note the stark difference in the fate of the lost (Revelation 6:16) and the saved (Revelation 7:17). But prior to the return of Jesus, far-reaching geopolitical and geo-military events will transpire. The opening of the seventh seal runs parallel with intense prayers of the saints (Revelation 8:4), and the seven angels prepare themselves to sound the trumpets. Who is responsible for the trumpet plagues? The sounding of the trumpets appears more like a warning rather than an intervention from the side of God’s government. The limited nature of the trumpet plagues (affecting one third of everything) indicates that Satan and his earthly collaborators might have something to do with the trumpet plagues. Satan has power over one third of the heavenly hosts (Revelation 12:4). Note that during the trumpet plagues, people still have the possibility of repentance (verses 20, 21), although the majority will not take advantage of it. Satan will arrive in person (Revelation 9:1) and, in cooperation with his chief demon “Abbadon, Apollyon” (=the de-stroyer, verse 11), after slaughtering 33% of earth’s population (verse 18), Satan, the old serpent, that psychopathic monster, will impose his totalitarian New World Order on the reduced population of planet earth; he will continue with his deception and will claim that God’s law has changed. As the final implementation of the satanic rule will culminate in the introduction of universal sun worship, Satan will enforce a universal Sunday law, which Ellen White equals to “the mark of the beast” (see GC 449.1). What a comfort it is that the Righteous Judge will still be in control, and that He, even when the Sunday law is implemented, will execute justice! 1. Aremah – [Strong’s H6194]: a heap, a pile, a heap of sheaves. 2. Gayê – [H1516]: a valley, a steep valley, a narrow gorge. 3. Don – from diyn [H1777 or den H1778]: meaning to judge, contend, plead, judgment. “Don” is essentially the same word as shâphaṭ [H8199], as in Jeho-shaphat (Yahweh Judges). When all these elements are combined, the word is found to mean: “A heap of sheaves in a valley for judgment.” John is the only one who uses this peculiar Hebraistic term. It is informative to see how he uses it elsewhere in his writings: John 5:2; John 19:13; John 19:17, John 19:20; John 20:16; Revelation 9:11. John chose a Hebrew “non-word” to express God’s judgment in symbolic fashion as a threshing harvest 5. How did John the Baptist announce the ministry of Jesus (Matthew 3:12)? As the one who will clean His threshing floor, and will gather wheat into the barn and burn up the chaff. Important facts are mentioned at least twice in Scripture: Luke 3:17. Jesus Himself is the one who will take the winnowing fan (or fork) and separate the wheat from the chaff on the threshing floor in the valley of judgment (Armageddon). After this act of true justice, God the Father on His throne will announce: It is done (Revelation 16:17). What follows is a detailed narrative of the judgement of end-time Babylon, which is an alliance of the beast, the false prophet, and the dragon: the unholy trinity (Revelation 16:19 - 20:10). Revelation 19:1 and 2 is the response to the yearning for justice that was symbolically uttered by the martyrs in Revelation 6:10: Finally, justice is served. King David paid Ornan six hundred shekels of gold for his threshing floor. David had commanded the people to be numbered. For this sin God required of David that he “should go up, and set up an altar unto the Lord in the threshingfloor of Ornan the Jebusite.” (1 Chronicles 21:18). Why was it a sin to count the people? Satan is called out as the source 1 of this counting idea himself (Verse 1). In the Old Testament, Satan is mentioned as a source of evil in exactly three instances: (1) in the book of Job, (2) in the book of Zechariah, and then here in 1 Chr 21:1. God must have been very angry about David’s decision of a census; and we ask ourselves the questions: it was just a head count, what’s wrong with that? Whenever surveillance (registration, census) and force are introduced, any government will assume the character of Satan. God’s judgment had the form of a pestilence that was sent to Israel. After David’s repentance, he asked the Lord a question that seemingly remained unanswered: “Lo, I have sinned, and I have done wickedly: but these sheep, what have they done? (2 Samuel 24:17)” Were they really innocent victims of God’s wrath? The “sword of the Lord” (1 Chronicles 21) is a type for the seven last plagues. God’s seven bowls of judgment are a response to Satan’s totalitarian dictatorship, which climaxes in the introduction of the “mark of the beast”. Like it was the case during David’s transgression of the census, the “sheep” that follow the apostate political leaders of end-time Babylon will not be held guiltless. Satan will stir the worshippers of the image of the beast against God’s people, and then comes “Armageddon”, the universal threshing floor, “A heap of sheaves in the valley of judgment.” (Dan 2:35). “Threshing” represents the separation of good and evil; final judgment occurs upon the heap of sheaves in the valley after the good grain is separated out. Armageddon is an ultimate event of God’s judgment and final justice. In this sense, David represented a dual type during the “census” transgression: on one hand he was the type of a political leader deceived and led by Satan 6 (1 Chronicles 21:1). On the other hand, David was a type of all those people who can approach the destroying angel at the threshing floor “Armageddon” in confidence, because they repented and are clothed with the righteousness of Christ (Revelation 16:15). The holy ground, where Abraham was about to offer his son was a type for planet earth: It was on planet earth where God’s son was sacrificed. After the sacrifice of the lamb, the earth will turn into a place of universal justice, Armageddon. God’s threshing floor, where the king has to execute the toilsome task of separating the wheat from the chaff, like Araunah the Jebusite in the type. In the type, the threshing floor would later become the location of the temple. When universal justice has been done, the earth will likewise be filled with God’s presence, where God will dwell with men (Revelation 21:3). 2. Robert Hauser, Give Glory to Him: The Sanctuary in the Book of Revelation (Angwin, CA: Robert W. Hauser, 1983).